Undergraduate students who are choosing to stay a fifth year at Penn have just been told that they won’t be granted financial aid for that year. For many, this is a direct contradiction of what they were told by Student Financial Services in previous years, though Student Registration and Financial Services states that this policy has been in place since 2008. Unless any changes are made to this policy in the next few weeks, hundreds of students may not be able to return to campus come August. Many won’t be able to graduate. As a freshman in 2014, Engineering student Nancy Wong was assured by SRFS that financial aid would be made available for undergraduate students who stay a fifth year at Penn. “For students who choose to stay a 5th year, there is financial aid available, however, it will have a loan-component built into the package of a few thousand dollars,” an SRFS officer wrote to Wong on March 4, 2014. Wong (who uses they/them pronouns) was relieved — they had lived with mental illness as a student and weren’t sure if graduating in four years was a possibility. Now three years on, Wong is a rising fifth-year Engineering senior. Wong was supposed to graduate in a few months, but a seeming change in SRFS policy now suggests that the “few thousand dollars” in aid that was promised to them in 2014 might turn into $20,000 worth of loans instead. 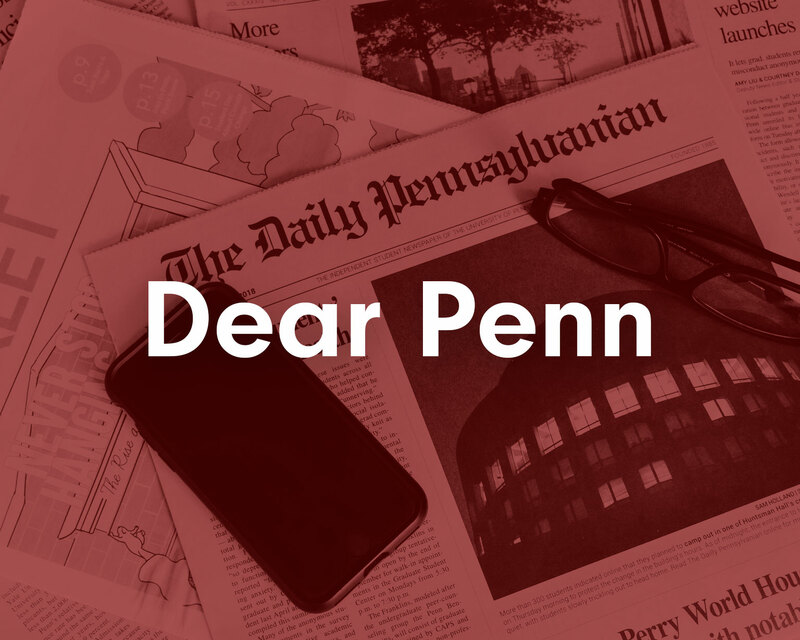 Wong, along with many other students, learned that Penn isn’t offering financial aid to fifth-year students from a Facebook post written by Amy Calhoun, the director of Integrated Studies Programs. Penn administrators said this policy has been in place since 2008. 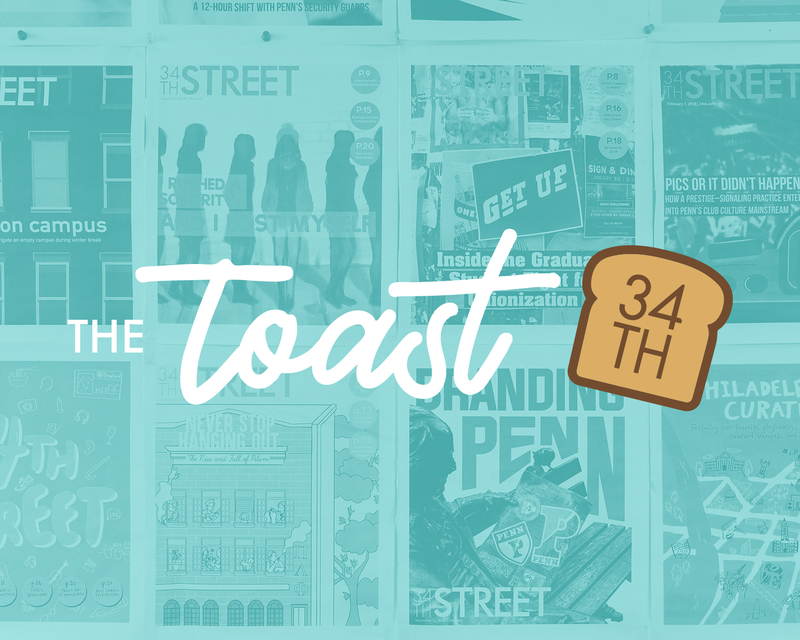 The post spawned an uproar in many student groups on Facebook, such as CG@Penn, the computer graphics group, and CIS@Penn, a group for computer science. The SRFS website currently includes a short line acknowledging the limit on Penn’s “grant-based” aid policy to just “eight academic semesters.” That line was not included as recently as March 20, according to an archived version of the webpage. Vice President for Finance and Treasurer MaryFrances McCourt said these changes are not significant, adding that the all-grant and grant-based policies both refer to policies that meet the maximum financial needs of students. This is not the first time changes in the wording of Penn’s financial aid policy have garnered attention. In 2015, Penn’s “no-loan” policy was rebranded as an “all-grant” policy, causing some confusion among students. This specific phrase has just recently been altered again — while the financial aid pamphlet for the Class of 2020 calls Penn’s aid “all-grant,” the same booklet for the Class of 2021 is devoid of that phrase, using only “grant-based policy” instead. This change in wording, while slight, may exact a price from rising fifth-year students like Wong. The loans Wong would need to take out to complete their final semester without aid would triple their student debt, they said. And Wong isn’t alone. Eight students who spoke to The Daily Pennsylvanian said they were surprised to learn that they would be receiving zero grants to complete their fifth year — an apparent contradiction to Penn’s promise of an “all-grant” financial aid program for undergraduates. Undergraduates extend their time at Penn for a variety of reasons: a leave of absence, financial issues or, perhaps most commonly, because of a dual-degree or submatriculation program, which lets students pursue undergraduate and graduate degrees simultaneously. Penn’s four-year graduation rate based on students who began attending in fall 2010 is 85 percent, meaning more than 1,000 undergraduates do not graduate within eight semesters — and with 47 percent of Penn undergraduates receiving some form of financial aid, this new policy could leave hundreds of students struggling to afford their next semester of college tuition. Eight students who spoke to the DP said they had only learned about this policy change through Facebook or after checking their semester bill online. Students in a Facebook group named “S.F.S. Dispute,” which has connected more than 100 students affected by this new policy, also said they had not received any formal notification from the University outside of their individual communications with SRFS. “I expect we will have a resolution next week,” Papas-Varas wrote to the student on July 22. 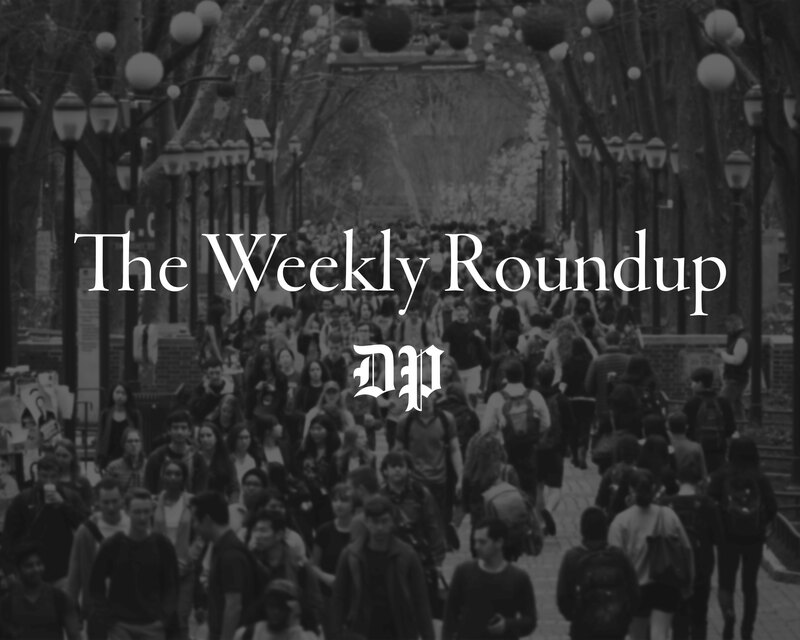 On Monday, hours after the DP specified to SRFS that this article would be published in the early afternoon, McCourt sent an emailed statement to all Penn students clarifying the eight-semester maximum financial aid policy. Rising fifth-year Engineering senior Dak Song said he was never informed by SRFS or the University that financial aid was only available for eight semesters. Hoping to submatriculate into the computer and information science master’s program during his fifth year, he reached out to SRFS and met a representative in person in the spring. “They told me that as long as I maintained my undergraduate status and had undergraduate classes left to complete in my fifth year, I would get a very similar financial aid package with mostly grants and a few thousand dollars in loans,” Song said. Based on the encouragement of peers who had done the same and with the reassurance of SRFS, Song saved two final undergraduates classes for his fifth year. When he checked his financial aid package in the beginning of July, Song was surprised to see that all of his grants had been transformed to loans. For the last four years, Song said he only had to pay a small fraction of the tuition. But suddenly, the “few thousand dollars in loans” he had been told about as a submatriculant had turned into more than $50,000 in loans. When the DP asked McCourt about the emails that students had received from SRFS confirming they would receive levels of similar financial aid their fifth year year, she replied that she “would love to see the written emails that these students have.” McCourt said this financial aid policy has been consistent since 2008. “Those messages written on Facebook about Penn’s financial policies — that’s just not true,” McCourt said. In one instance, a student who asked not to be identified to ward off potential blowback from SRFS, asked if he would receive “a similar amount of aid” in his fifth year. An SRFS staffer did not mention loans at all in their response. SRFS said the policy has been in place for years — so why didn’t people know about it? Students haven’t been the only ones caught off-guard with this policy. Many Penn faculty members also appear to have been unaware of this policy change until recently. Engineering Associate Dean for Master’s Programs Zachary Ives sent out an email on July 19 regarding the financial aid policy change. Wong noted that Cindi Buoni, registrar for Penn Engineering’s Research and Academic Services, had also mentioned that she had only recently found out about the policy. Buoni and Russell Composto, Penn Engineering’s associate dean for undergraduate education, declined to comment, saying it would be “premature for [them] to discuss the current situation” while they are actively advocating for Engineering students affected by the financial aid policy. Rising fifth-year Engineering senior Fiona La, a submatriculant into the master’s program for bioengineering, said she was never told why the policy had changed. Her appointment with SRFS on July 21 was canceled that morning. (Another student interviewed for this article also heard reports of student meetings with SRFS being cancelled). A few students have been able to work out their financial aid packages with an SRFS advisor already. Diana Cardenas, a rising fifth-year Nursing senior, said that after emailing her financial aid advisor, her package was changed. “I asked if there was any way that they could honor their promise” to cover a fifth year, Cardenas said. A few days later, her adviser had revised her package, switching most of her loans back to grants. Though Cardenas has had success acquiring a different aid package, virtually all other students interviewed for this piece reported the opposite outcome. And the variety of student experiences with SRFS reflects the University’s lack of a clearly outlined and enforced financial aid policy. 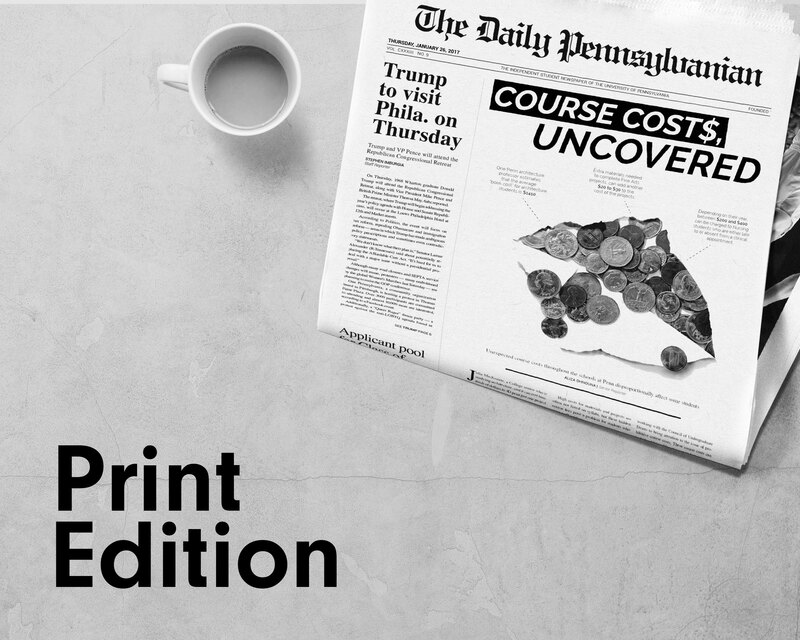 News of this policy change came to light after another increase in Penn’s financial aid budget. In recent years, Penn has repeatedly noted how the growth in the budget for undergraduate financial aid has outpaced the percentage increase in tuition. For fiscal year 2018, the undergraduate financial aid budget is $224 million, a $9 million increase from fiscal year 2017. This increase of 4.9 percent is higher than the 3.9 percent increase in tuition from 2017 to 2018. But it is possible that some of these policies have been adopted to get students to graduate sooner, said Mark Kantrowitz, a financial aid expert whose work has been published in The New York Times and the Washington Post. He noted that some federal loan programs extend past four years of college, so students often take out more federal loans if they spend more time finishing their undergraduate degree. “We will, of course, accommodate for those who are not able to finish in four years due to mental health problems or other special needs,” McCourt said. Martin Deng, a rising fifth-year Engineering senior, said he was considering taking out student loans to finance his last year at Penn. As a Canadian citizen, he faces greater difficulties taking out loans than his peers. Penn is not the only Ivy League school that has capped its undergraduate financial aid program at eight semesters. According to Yale University’s financial aid website, “students who attend for nine terms are not eligible for financial aid from Yale in their ninth term.” There is an exception made for “reinstated students,” defined as students who withdrew from a semester due to academic or personal reasons. While students at Brown University are considered for financial aid past eight semesters, their “level of loan borrowing will be maximized in [the] award before scholarship funds are awarded,” according to the school’s website. Many of the Penn students who spoke to the DP emphasized that it was not Penn’s new policy that was unfair, but the manner in which the new rule has been enforced. This policy is shaping how younger students are planning their curriculum. Rising Wharton sophomore Miguelangel De Armas said he might have to overload his classes and forgo courses he found more interesting in order to finish school in four years. Other students said that the unexpected enforcement of this policy has especially penalized students who are low-income and struggle with mental illness. Rising Engineering senior Emily Vo has one year of financial aid left, but still has 14 course units left to fulfill. Vo, who has received treatment for bipolar disorder since sophomore year, said taking seven courses a semester will be impossible. Vo switched her major from computer engineering to digital media design, a 40-credit curriculum. Do you have a tip you would like to share with The Daily Pennsylvanian? Email Enterprise Editor Vibha Kannan at kannan@theDP.com. For confidential tips, you can encrypt your message with our PGP key (fingerprint 8D74 A5C2 9AE2 E1A9 74CD C413 E076 396A CBAB 8925). Physical mail can be sent to The Daily Pennsylvanian: 4015 Walnut St., Philadelphia, PA, 19104.